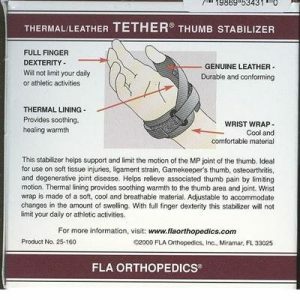 Thermal lining provides soothing warmth to the thumb area and joint. Wrist wrap is made of a soft, cool and breathable material. 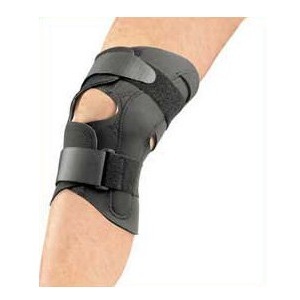 Adjustable to accommodate changes in the amount of swelling. Genuine leather is durable and conforming. 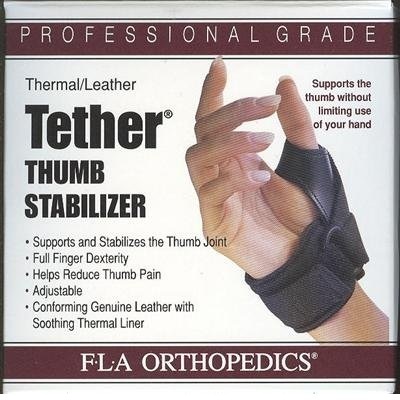 This Tether Thumb Stabilizer helps support and limit the motion of the MP joint in the thumb. By limiting the motion, it helps to relieve associated thumb pain. 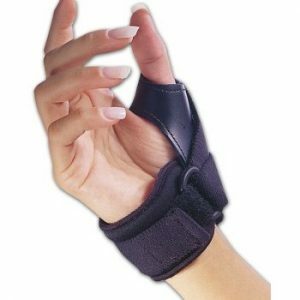 With full finger dexterity, this stabilizer will not limit your daily activities. 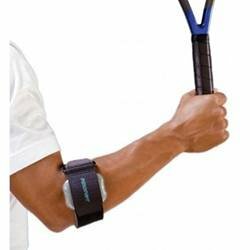 Ideal treatment for sports injuries and wear during athletic activity. 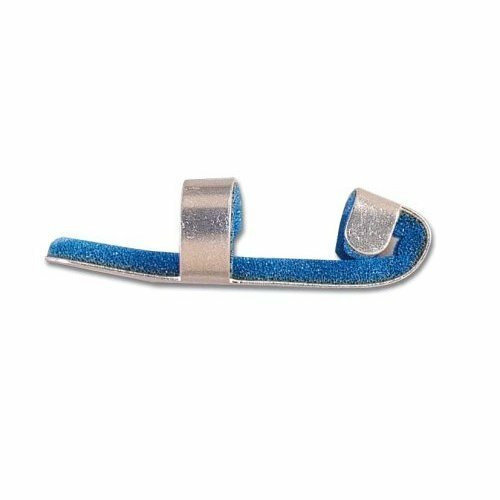 Made of genuine leather that conforms to the thumb and lined with a thermal lining to warm the joint during the healing process. 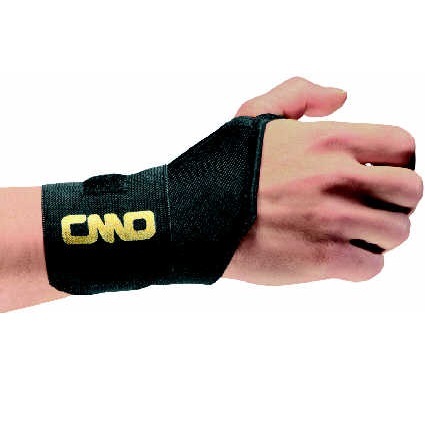 Cool, breathable wrist wrap for additional comfort.